Join us as we connect with engineers, construction principals, and architects over gourmet bites, signature cocktails, and strategic networking. 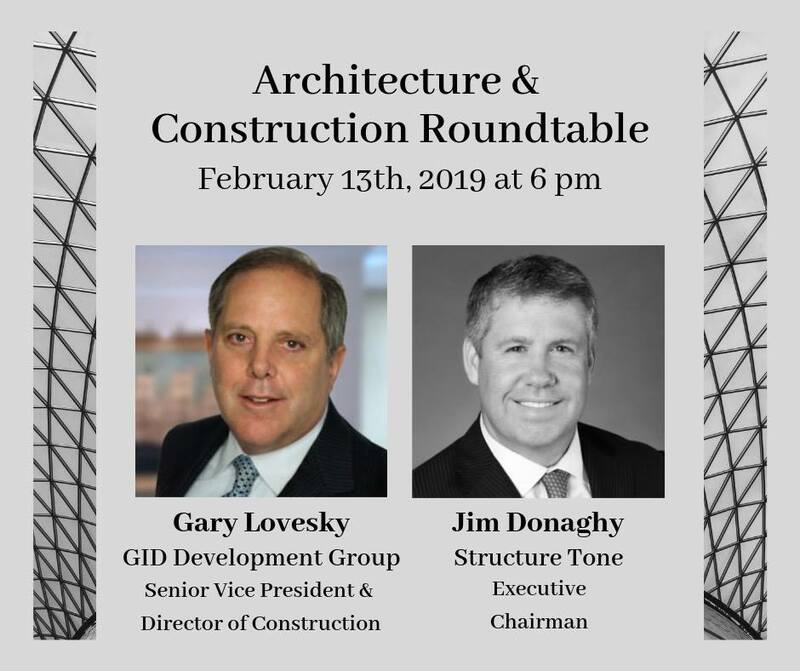 Afterward, you will take a seat at a roundtable discussion where speakers will lead industry focused conversations on topics of their expertise. The roundtable format creates an open atmosphere for valuable group discussion, which allows you to develop new relationships and explore potential partnerships and professional opportunities.